On 15 November 2018, HRH Princess Sarah Zeid of Jordan was appointed as one of the first UNHCR Patrons, committing to raising awareness on maternal and newborn issues in refugee and humanitarian settings and encouraging others to support our work. 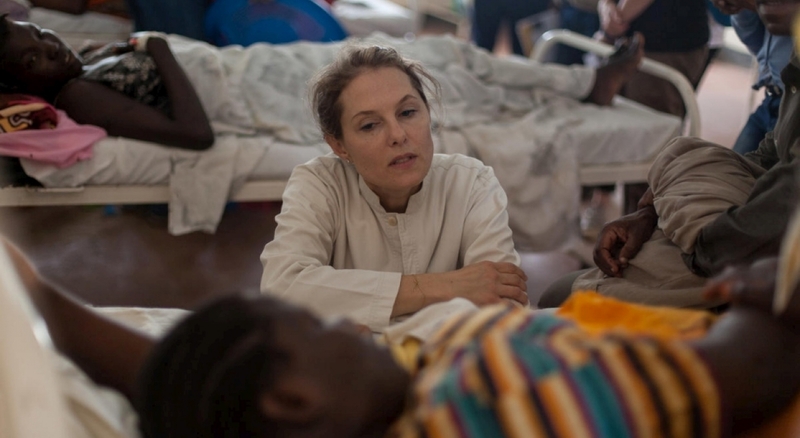 Her Royal Highness Princess Sarah Zeid has championed this cause for many years. She is a member of UNHCR’s Advisory Group on Gender, Forced Displacement, and Protection. HRH has visited the field on numerous occasions to highlight the importance of addressing maternal and newborn health in humanitarian crises and to reiterate the vital need to protect women and girls from gender-based violence. Her Royal Highness Princess Sarah Zeid holds a BA in International Relations from the University of St. Thomas in Houston, Texas, and a MSc in Development Studies from the School of Oriental and African Studies, University of London. HRH is involved in an extensive amount of work focused on the health, welfare and rights of women and girls. HRH is the co-chair of Every Woman Every Child Everywhere, a movement championing reproductive, maternal, newborn, child and adolescent health in humanitarian and fragile settings. HRH Princess Sarah Zied is also a board member of the Women’s Refugee Committee, a member of the advisory board for the Women’s Rights Division, Human Rights Watch, and on the Johns Hopkins Center for Humanitarian Health Advisory Committee. HRH role as Patron encompasses the responsibility of raising awareness on the work that UNHCR is conducting in partnership with the Bill and Melinda Gates Foundation in the health sector. By speaking about the results of projects included in this partnership at international conferences around the world, HRH Princess Sarah Zeid is not only helping to show the impact of our work to new audiences but also raising awareness on the importance of protection of women and their children in humanitarian crises. During HRH’s appointment ceremony as UNHCR Patron on 15 November 2018 in Geneva, HRH Princess Sarah Zeid said: “We must prioritize the specific needs, vulnerabilities and contribution of women, girls and their children, and reducing the needless horror of preventable deaths and injury. Preventable maternal and newborn mortality and morbidity are highest in fragile and humanitarian settings. This is unacceptable!